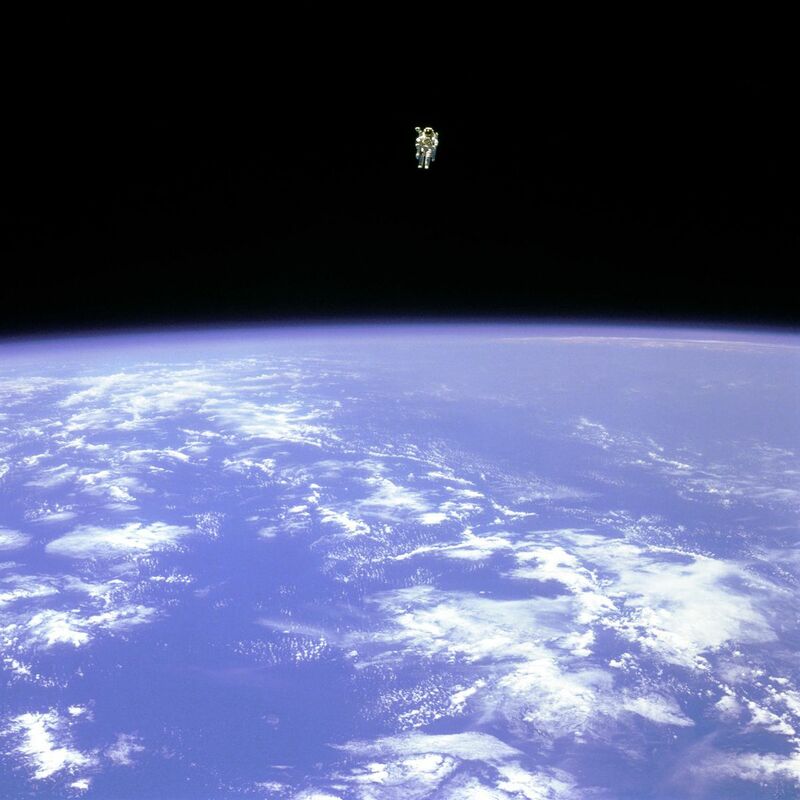 An astronaut floats alone with the blackness of space behind him and the bright blue limb of the Earth below. He's untethered with nothing but a NASA-made jetpack to protect him. 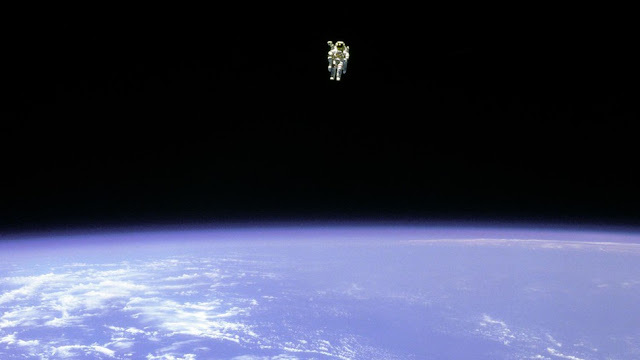 NASA astronaut Bruce McCandless — who died at the age of 80 on Thursday — is that untethered astronaut in one of the most iconic space photos of all time. "I wanted to say something similar to Neil [Armstrong] when he landed on the moon, so I said, 'It may have been a small step for Neil, but it’s a heck of a big leap for me.' That loosened the tension a bit." McCandless's spacewalk marked the first untethered walk in space by a U.S. astronaut. He was also the first person on Earth to speak to Armstrong from the surface of the moon, according to space historian Robert Pearlman. "His call, 'Neil, this is Houston. We're copying,' were the first ever words spoken to a human standing on the moon," Pearlman wrote on collectSPACE.com. McCandless flew to space twice over the course of his career at NASA, spending 312 hours in space. But perhaps McCandless's most significant spaceflight moment — the one that defines his career — is his untethered spacewalk and the photos from it.That stark image of McCandless flying free in space is evocative of so many of the things that capture the imagination about spaceflight. From that glorious view of Earth to simply being alone out there in the vastness of space, photos of McCandless during his flight with nothing but a special jetpack show not just the beauty but also the fear inspired by human spaceflight. And thanks to these photos, McCandless brought all of that back home to the rest of us.